The award for my favorite app so far is…. 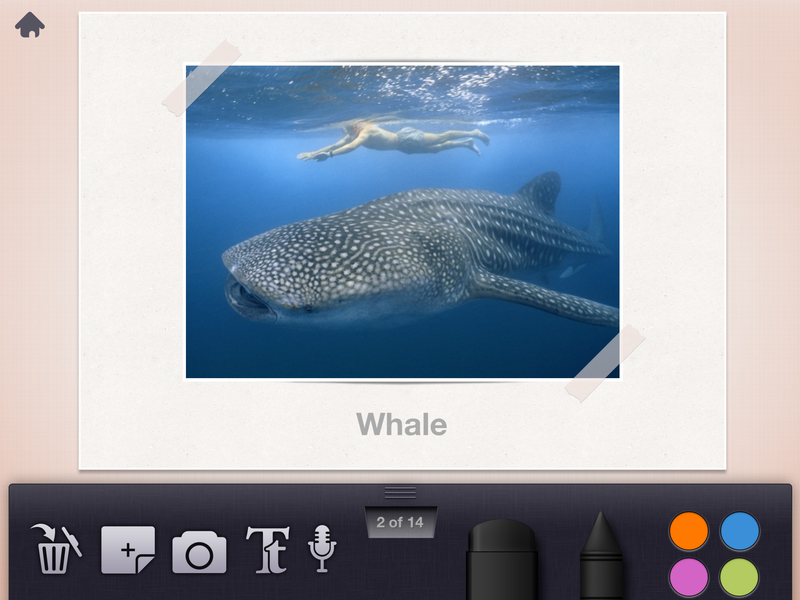 Story Creator is an app that allows you to create storybooks using photos, videos, text, and audio. It is easy to use, and also flexible enough that I have used it with every client I have this semester! For my articulation client, I created books using his articulation words. This is the view once you click on a book. From here you can add a new page, add a picture, add text, or record speech. You can also color over the page! Articulation: This should be fairly obvious, but I download pictures from Google Images using another free! app (Image Search). I put the pictures into articulation books. For example, I have a /w/ words book and a /w/ phrases book. During therapy, the client and I take turns recording our speech. We listen back to see if we can hear the target sound! My client loves hearing himself, as well as coloring over the pictures! This is a good way to elicit sentence level productions also. Aphasia/Apraxia: I use this app 2 ways for my client with aphasia and apraxia. He has an iPad so I downloaded it for him. Each session, I program in words and phrases he can use for home practice and carryover. I record my voice saying each word. He loves that we can personalize all of the phrases (when compared to other apps that do that same thing)! I also use the app in therapy by programming in carrier phrases and allowing the client to page through them and choose an appropriate one. Language Disorders: For my third client, I’ve created books targeting specific language components. For example, I created a book with funny pictures targeting adjectives. It is a good place to put all of those Pinterest pictures you’ve been stockpiling! Hopefully you find this app as useful as I do! I love that is is free and so versatile.